Mark Rater received his BBA from the University of Iowa and his law degree from Creighton University School of Law where he was member of Law Review. Mark is licensed to practice in the states of Iowa and Nebraska and admitted to practice before Iowa District Courts, Nebraska District and County Courts, Iowa Federal District Court for the Southern District of Iowa, Nebraska Federal District Court and the United States Supreme Court omprar cialis generico andorra. Mark’s practice is primarily in the 4th Judicial District of Iowa, which includes the counties of Pottawattamie, Mills, Harrison, Montgomery, Fremont, Cass, Page, Shelby and Audubon, and in the counties of Douglas and Sarpy in Nebraska. Upon graduating from law school, Mark was one of a select few to take and pass the Iowa and Nebraska bar exams in the same summer. Mark was an Assistant County Attorney for six southwest Iowa counties for his first five years. This experience gave Mark great access to, and familiarity with, the court system. Mark then made the transition into private practice in Council Bluffs which afforded him the opportunity to broaden his range of legal expertise. Mark moved to his present location in 1996, which is conveniently located across the street from the Pottawattamie County courthouse. Mark has tried 20 jury trials and has many years of experience in the courtroom. 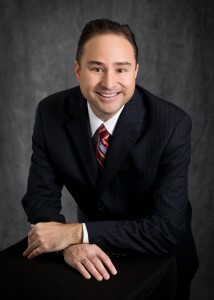 Mark has also resolved many of his personal injury cases through mediation. In addition to earning a living practicing law, Mark has devoted a significant amount of time helping those in need through pro bono work. Facing legal challenges can be difficult, sometimes overwhelming. Mark Rater has the expertise to help you through every step of the way. Contact Rater Law Office today for a free consultation. We will help you understand your case and what to expect.